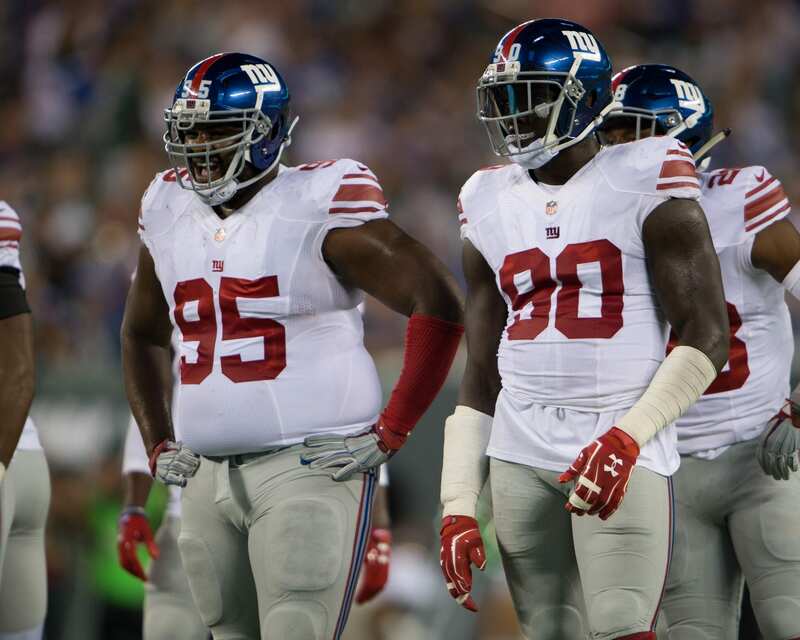 The New York Giants recently traded away iconic defensive lineman Jason Pierre-Paul for an additional third-round pick and cap-space in 2019. The trade confirms the transition from a 4-3 defense to a 3-4, as the Giants are likely planning on converting Olivier Vernon to a outside linebacker. The defensive change can be seen as a good thing, as the Giants have been extremely inconsistent on the defensive side of the ball. The front-four was lackluster in 2017 to say the least. New defensive coordinator James Bettcher implements a very interesting 3-4 system, as he requires athletic linebackers and strong nose tackles to plug up running lanes. Pierre-Paul’s massive contract wasn’t worth the money anymore, and his one lone 10-plus sack season in six years attests to that assumption. So, moving forward, who can the Giants plug in on the defensive line to provide strength, durability, and experience? The current defensive tackles are Dalvin Tomlinson, Damon Harrison, and Jay Bromley. I think we can all agree Bromley isn’t a guy you want starting on your team for a majority of snaps. The Giants could very well choose to pursue former Colts’ defensive tackle Johnathan Hankins; once a monster run-stopper for Big Blue just a few years ago. Hankins played in 15 games last season, enjoying a healthy year in 2017. He counted about $10 million cap-space, but was set to see a dip to about $8.5 million the following season (2018). After being released, Hankins’ value depreciates, making him a very interesting option for GM Dave Gettleman. Being that the Giants will have an additional $20 million in 2019 from JPP’s contract, and another $20 million from Eli Manning (potentially), Hankins is a ‘VERY’ realistic option. Bringing back a guy that can stuff the run and bat passes down with a huge frame would be huge, and would make an immediate impact. The Giants could have one of the best run-defenses in the NFL with a defensive line consisting of Harrison, Tomlinson, and Hankins. Adding a few secondary pieces to the mix would transform a defense that ranked 28th in points allowed per-game, 31st in yards-allowed, 31st in pass-yards, and 27th in rush-yards.